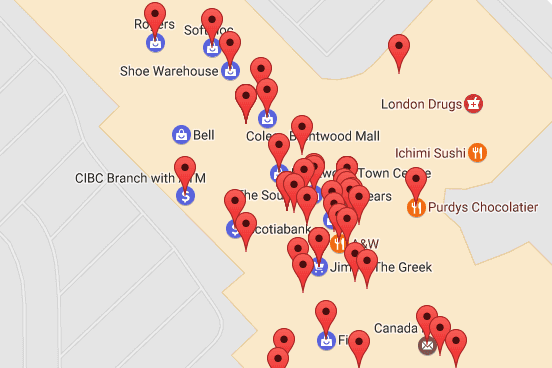 Barebones tool that gets stores from shopping centres and sorts them by location and type. Poorly made by a team of people with equal Python experience (none) for PyWeek 22. However, it has a totally awesome control scheme. Every character in the play as a shape based on their personality and importance. Unfortunately, it's not particularly easy to understand, as info displaying functionality didn't make it in time. Sort of procedurally generated interactive fiction survival game. Ratings are subjective. Genres are restrictive. Find music using an even more subjective and restrictive criteria: what it sounds like! Conceived as an incremental game, it is currently the focus of something not unlike a seasonal event: every once in a while, I remember it exists, look at the sad state of affairs it's in, then test new techniques by completely rewriting everything.